Whether you found the perfect dog on our Available Pets page or you just want to be pre approved for when you do, just complete the application below and tap submit!!! Your new Best Friend may be just a click away! Please fill out application completely. It is important to answer every question. An incomplete application will NOT be considered. All fields are required, however, please use N/A where appropriate. I am interested in: Which Animal? Does your current pet have any temperament/aggression issues? Have your pets been tested yearly for heartworms? Is anyone at home during the day? If yes, who? If No, how many hours a day will the animal be left alone? When will the animal be indoors? When will the animal be outdoors? Who will care for the animal if you go on vacation? If you move, what will you do with the animal? What is your hurricane evacuation plan? Do you have a doggie/kitty door? How would you discipline the animal if he/she misbehaved? Would you consider an animal with health problems? Do you understated that there are costs associated with the ownership on an animal? Do you understand that this is a lifetime commitment & a pet can live up to 20 years of age? Are you willing to keep the animal for its entire life knowing the above? Food & Veterinary costs in the case of illness or accident can be very costly, are you prepared to pay these costs in the event your pet requires extra care? Some animals require grooming, are you prepared to provide this grooming if at an additional cost? 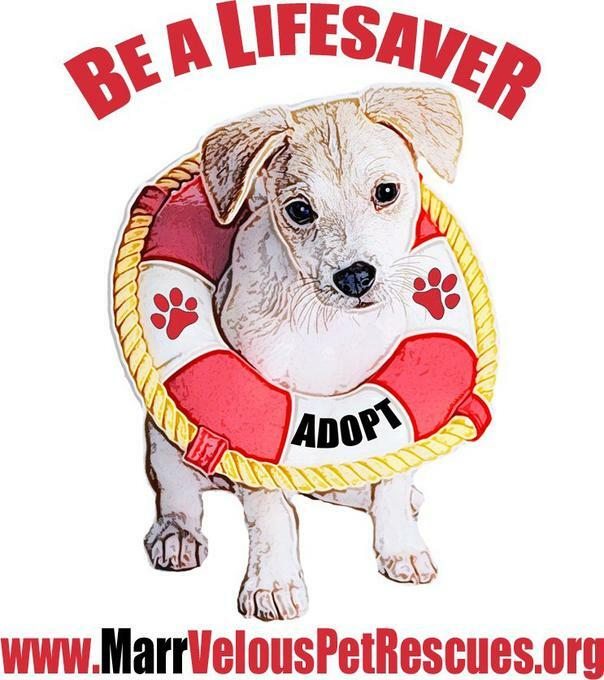 MarrVelous Pet Rescues reserves the right to refuse an animal to any applicant for any reason. Before hitting Submit, please be sure ALL FIELDS have been fill out, the form will automatically reset if ANYTHING is left blank!! Please use N/A where appropriate. I understand this questionnaire becomes part of the adoption contract.